The prospect of using technology to solve challenges and contribute to socio-economic transformation excites us! We believe that effective socio-economic transformation can bring joy to many and that we can have a lot of joy enabling it. 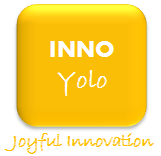 Thus the name INNO (Innovation) and Yolo (Xhosa: Joy). We also love that the name makes the sound Inoyolo (Xhosa: Has Joy). We want to dedicate ourselves to Joyful Innovation that creates positive change for others. We have an amazing vision and plan for transforming this website from an information resource into the leading interactive online platform for ESD and entrepreneurship in South Africa and the rest of Africa. If you would like to get involved, please do get in touch.